Mamello is a midwife from Lesotho with 4 years of clinical experience in HIV. She is also the founder of 'MobiHope', the first health mobile application to address issues of HIV in Lesotho. In addition, Mamello works as a medical consultant for BARADI, an NGO that raises awareness of backstreet abortions and acts as a focal point personnel for the United Nations major group for children and youth in AFRICA. She is also a Board member of Catholic Health Centres in Lesotho. 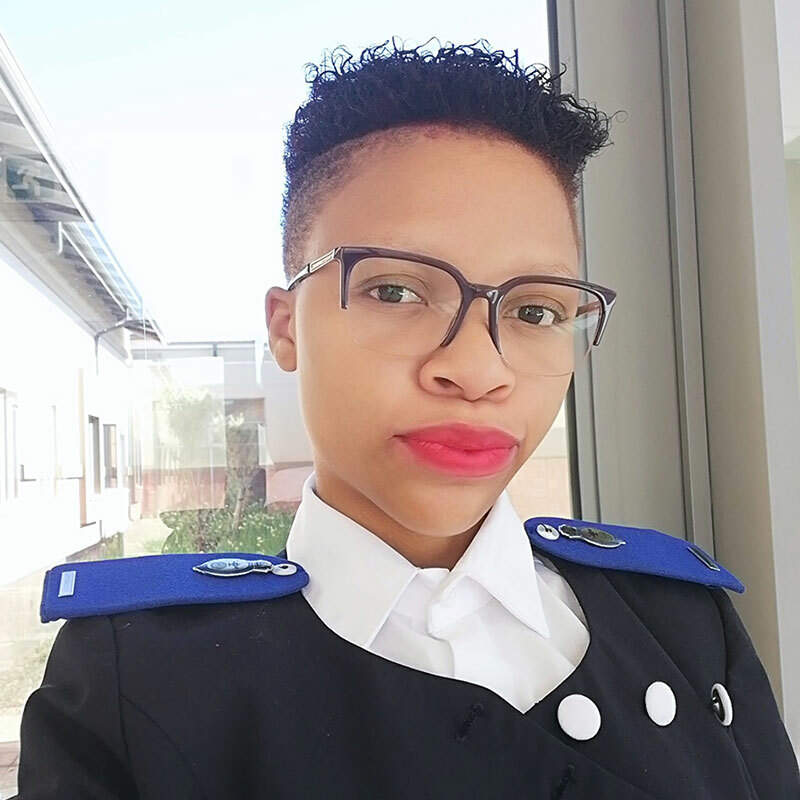 Mamello is keen to incorporate technology to tackle the issues surrounding HIV, she intends to do this through 'MobiHope' which aims to solve the burden of HIV, making sustainable health a reality. As a midwife she is also interested in Sexual and Reproductive Health Rights and teenage pregnancy. "Lesotho is beset by numerous challenges related to abortions inefficient policies, high prevalence of HIV with the resultant increase in maternal and infant mortality and morbidity respectively. I endeavour to promote Health for All by taking determined strides to lobby for policies that respect women and children’s rights despite many setbacks that many would come from religious doctrines. It is often said one should be the change they want to see in the world and that change starts with me. Lot of women in Lesotho stay in abusive relationship because they are used to harsh punitive traditional laws that it has become a norm to be dominant even in issues that matter to their body. I want to break the cycle of traditional norms, challenge the status quo, become a pioneer in sexual reproductive health rights in Lesotho for the better society where SHE matters."